Just to let you all know, I loathe brown rice. I don’t know why, I just do. I love white flour, white rice, white pasta, basically every carb that is horrible for you. But, in keeping with good health, I decided to make a brown rice dish. This was actually fantastic, couldn’t tell the difference. 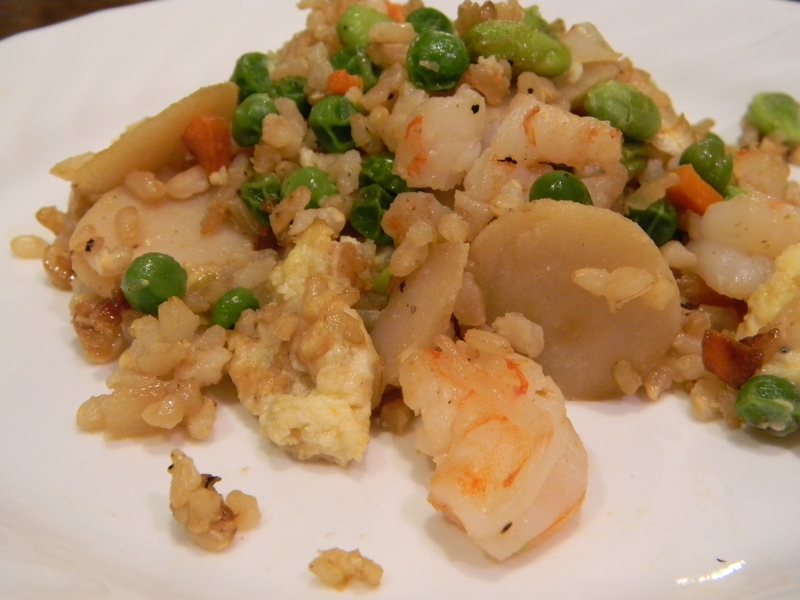 This can be made vegetarian by omitting the shrimp (obviously) and adding tofu or mushrooms. If you want to, add a little Sriracha for some heat after you are done cooking it. Whisk eggs in a small bowl and set aside. Cook rice according to package instructions. This should yield 4-6 servings of rice. In a large skillet, heat over medium and add oil and spray (a good amount to coat the bottom of the pan). Add onion, garlic, celery, and carrot. Cook for about 5 minutes until vegetables are soft and browned a bit. Add water chestnuts, peas, and edamame. Cook for 1-2 minutes longer. Add shrimp to pan. 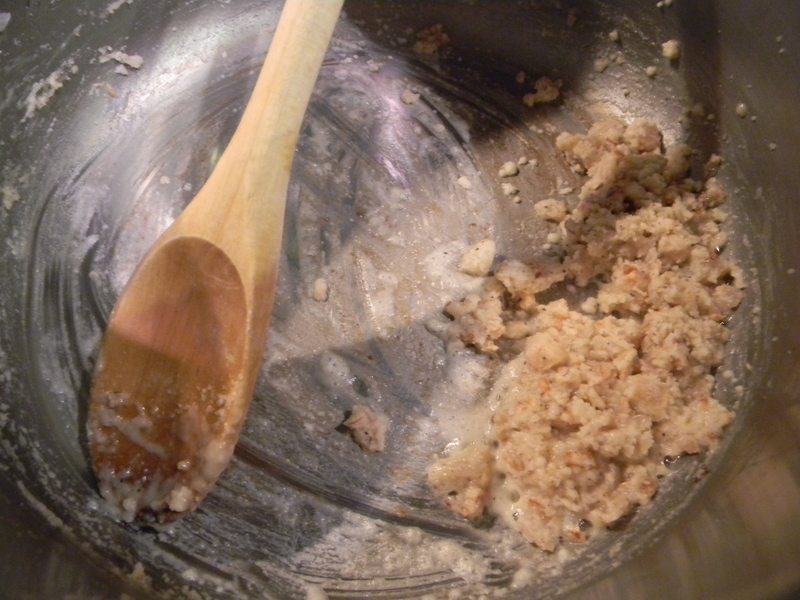 Push the mixture around to the sides of the pan making a large circle in the center. Spray the circle with a very large amount of the cooking spray and add cooked rice. Turn heat up to medium-high and let rice cook for 30 seconds to 1 minute. Spray top side of rice and stir rice around in pan to incorporate with vegetable mixture. Season with a small amount of salt and a good amount of pepper and let cook on medium-high heat a minute more. Make another circle in the center of the pan and this time add the eggs. Stir the eggs in the center until they are almost completely cooked, then incorporate them into the rest of the mixture. Season entire skillet with 4-6 dashes low sodium soy sauce, stir and serve. 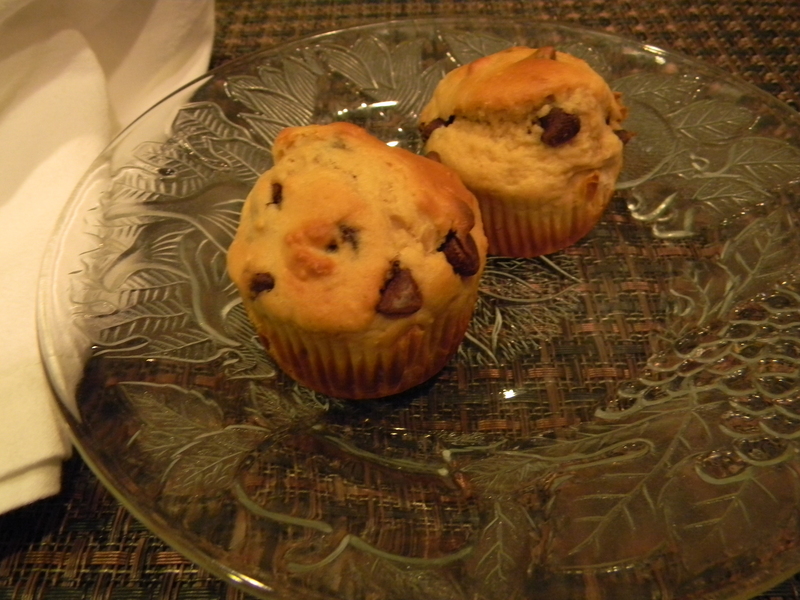 These are the best muffins ever when you want something sweet for breakfast. AND…drumroll please…they are good for you! Yep, these bad boys ring in at about 180 calories each. I’ve been eating them in the a.m. before my workout for some energy, they give me just that. You can add blueberries or raspberries if you prefer them over the chocolate chips. I prefer chocolate over anything. You’re welcome. Preheat the oven to 400 degrees. Spray muffin tins with non-stick cooking spray or line with muffin cups. Stir all ingredients except for chocolate chips in a large mixing bowl until combined. Fold in chocolate chips. Divide batter between 12 muffin tins and bake for 15-18 minutes until golden brown. These will keep for 4-5 days in a air-tight container. Our Aunt Leticia sent us paprika from Spain. I am OBSESSED with it, I want it in everything. I’ve been looking for easy, low cal dishes and a similar one to this one popped up. It had potatoes and onions in it which would be fantastic but we are limiting carbs where we can right now. This dish is relatively low fat and low calorie. With these being baked, skinless, and boneless, the chicken thighs are about 120 calories each or less (depending on the size). Preheat oven to 375 degrees. In a small bowl, combine olives, lemon zest, and garlic. Set aside. 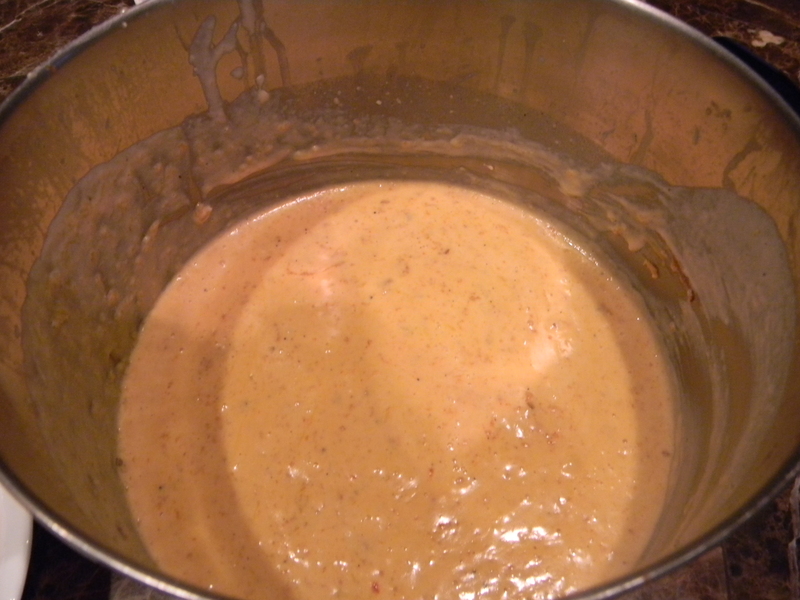 In a large bowl, combine paprika, salt, pepper and olive oil until it resembles a paste. Add chicken thighs and toss to coat. Lay chicken thighs onto a foil lined sheet pan and cook for 30-35 minutes. 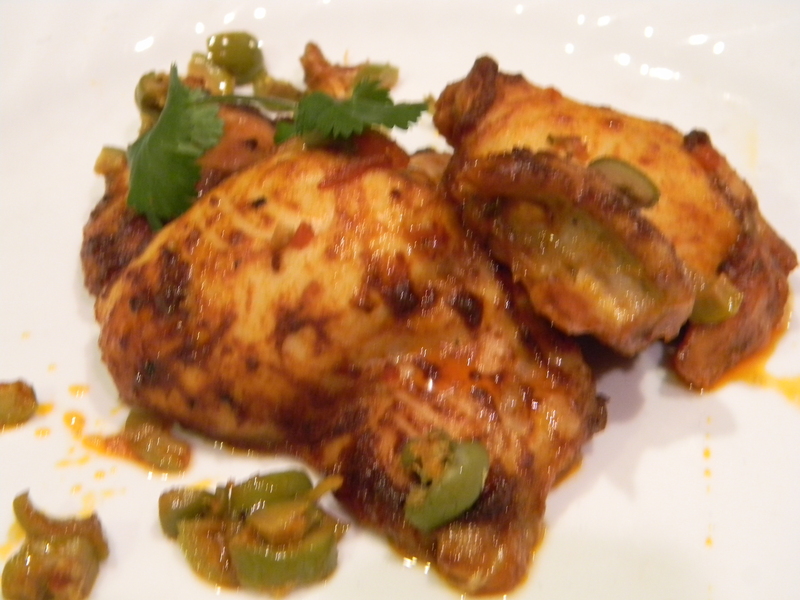 When there are 10 or 15 minutes left on the timer, sprinkle the olive salsa over the chicken to let finish cooking. This is a pretty versatile dish. You can make it spicier by adding jalapenos instead of pasillas/poblanos. You can add corn and omit some of the zucchini, use it as a taco filling, make it a vegetarian meal by omitting the chicken boullion powder, and use different squashes if you’d like. You can also use different cheeses here. Cheddar, Monterrey Jack, Queso Fresco, etc. There is no wrong way to make this. Heat a burner on the stove over high. Take the halved pasilla pepper and place it directly on the burner (I know this sounds insane, but it works!). Char the peppers exterior skin only (not the fleshy inside) for 1-2 minutes until black. With tongs, remove from heat and let cool slightly. Run peppers under cool water and using your fingers, rub away the blackened skin. 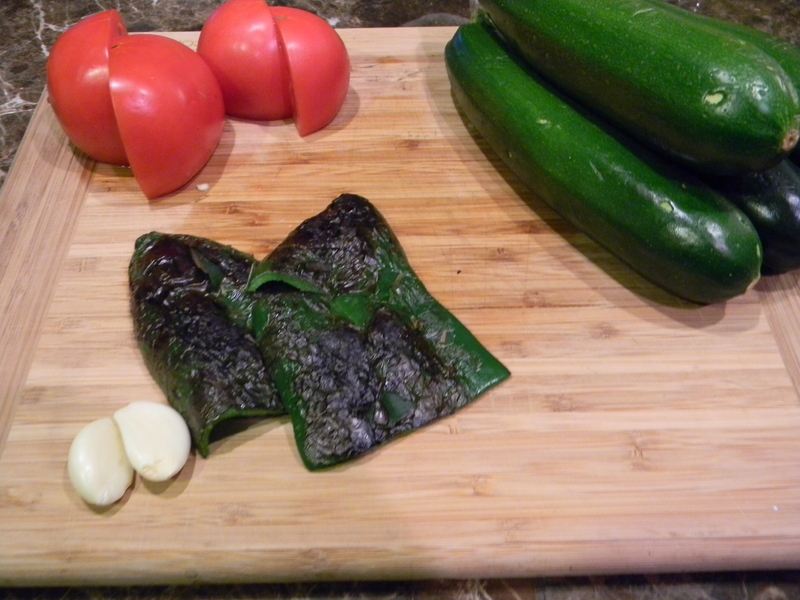 Place on cutting board and slice into thin strips and chop. Set aside. Heat the 2 tablespoons oil in a large skillet over medium heat. Add the onion and saute for 2 minutes until lightly browned and softened a bit. Add the garlic. Saute 1 minute, stirring frequently until fragrant. Add zucchini, poblanos, salt, pepper, oregano, and chicken boullion powder. 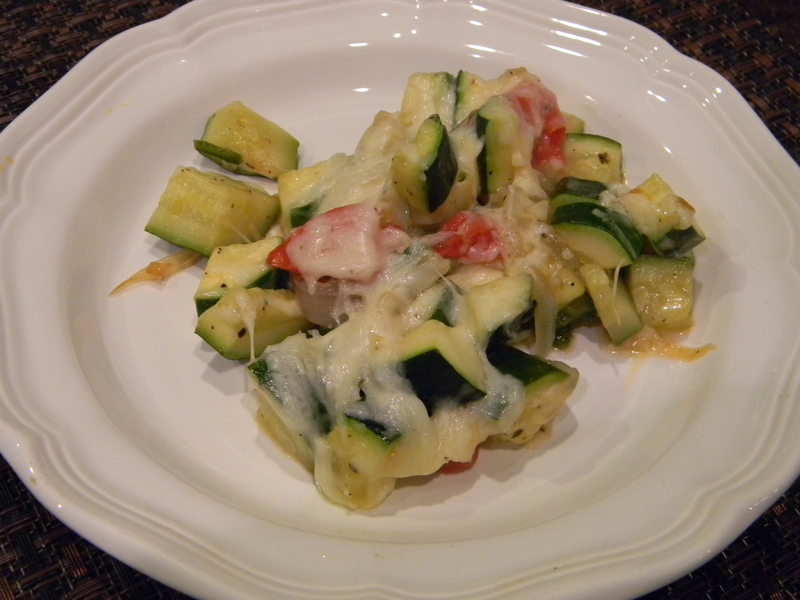 Stir together and cook for about 5 minutes until zucchini begins to soften. Add tomatoes, stir, and cook for another minute. 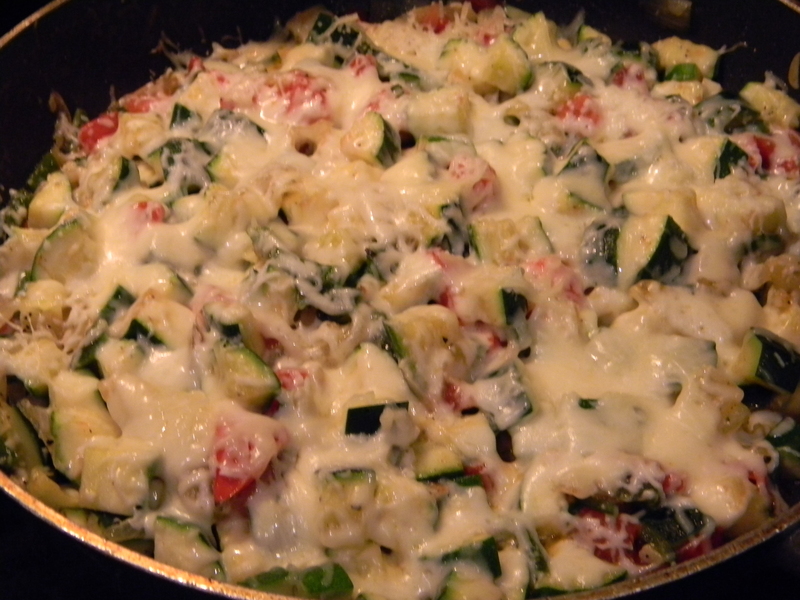 Top zucchini with shredded cheese and cook for another 4 minutes until cheese melts over the vegetable mixture. If you’d like, you can pop it under the broiler for a second or two to brown it up. Make sure to keep an eye on it. TIP: If your pan’s handle has plastic, wrap it in foil. This will keep it from melting. 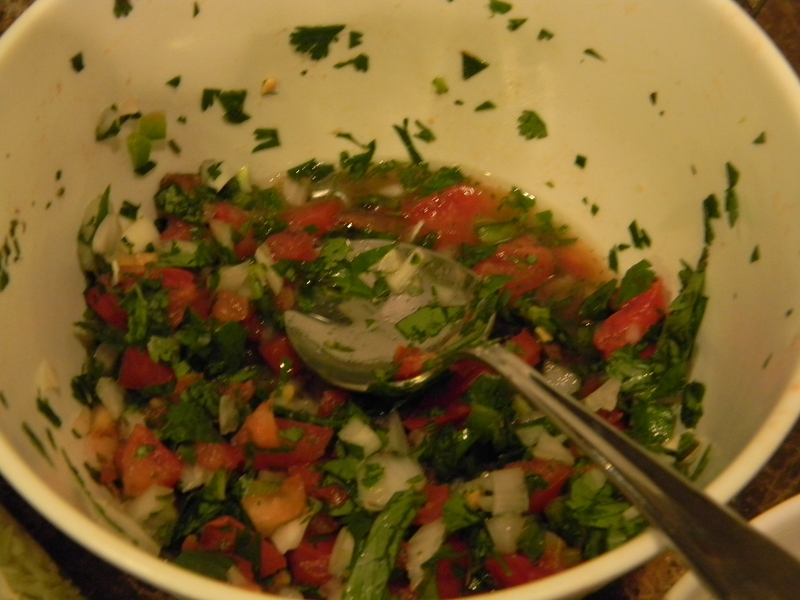 I love fresh salsa. Can’t get enough of it. This one is so simple to put together and keep around for tacos, eggs, anything. Add some avocado to it if you’d like. I always do when we have fish tacos. Combine all ingredients in a small bowl and stir to combine. This will keep in the fridge for about a week. Beans are high in protein, full of fiber, and are low in fat (which coincides with the New Year and many of us dieting resolutioners). I make these to go with my fish tacos, which are grilled. 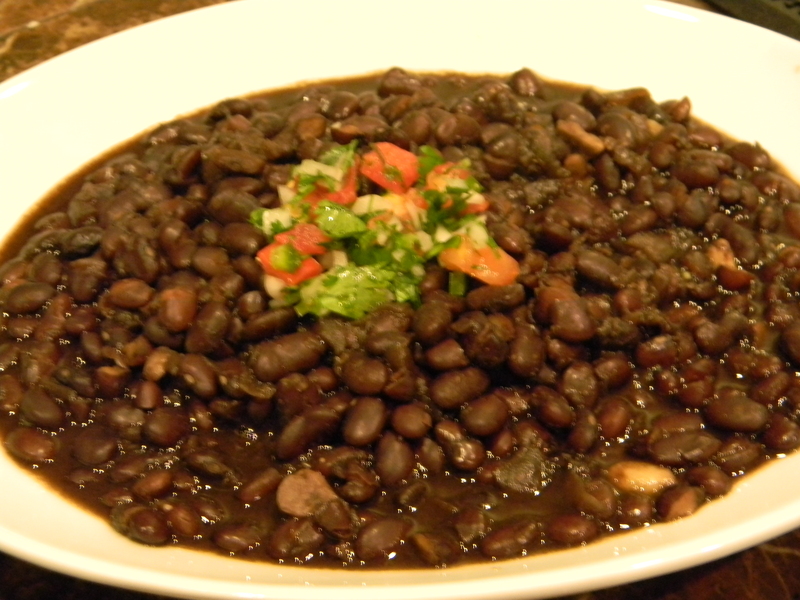 Beans are chock full of iron, magnesium, folic acid, phosphorus, and B vitamins! For all my vegetarians out there, these can be used as the filling for tacos. 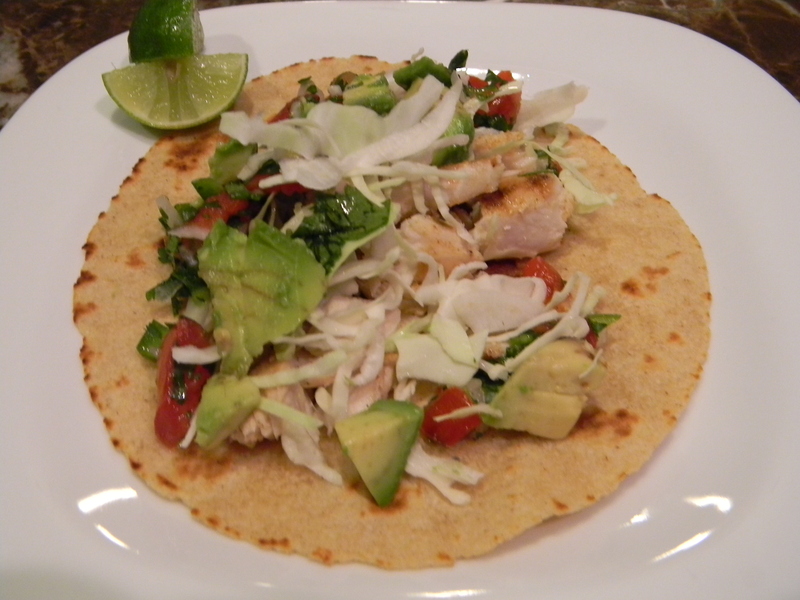 You can add shredded cabbage, salsa, and some cotija or queso fresco if making a taco out of them. In a large stock pot, place beans and about 10 cups water. Turn heat to high and add all other ingredients. When beans come to a boil, reduce heat to med-low, partially cover and cook for about 3 hours until liquid has thickened and beans are soft. Top with queso fresco or cotija cheese for added flavor. These can also be served refried style by heating some vegetable oil in a pot and mashing them up. I should forewarn you that this dish is not figure friendly, it is decadent, and it is addicting. Proceed with caution! For the lobster meat, I buy 1-2 tails depending on how big they are. Two medium sized ones should give you about 3/4 cup of meat. I place them in a saucepan over simmering water, cover with a lid and steam for about 7 minutes. Also, if you can’t find Gruyere, you can substitute with Fontina or another semi-hard nutty kind of cheese. Trader Joe’s always has an abundant supply of cheeses to choose from. You can serve this as a side dish or as a sinful main dish with a salad and some bread. In a large pot, melt 2 tbsp. butter over medium heat. Add shallots and stir frequently until softened and lightly browned, 1 minute. Add 2 tbsp. flour and stir constantly another minute until flour is cooked slightly and browned a bit (the flour will have a raw taste in your dish if you don’t cook it enough). This is your roux, or your base. Pour in the sherry (or other alcohol of choice) and stir again. Let the alcohol cook off for another minute. Pour in the milk, cream and tomato paste and stir until well combined. The mixture should be a nice pink color. Season with salt, pepper and nutmeg. Bring mixture to a boil and reduce heat to med-low. Stir in cheeses. Stir in lobster meat. 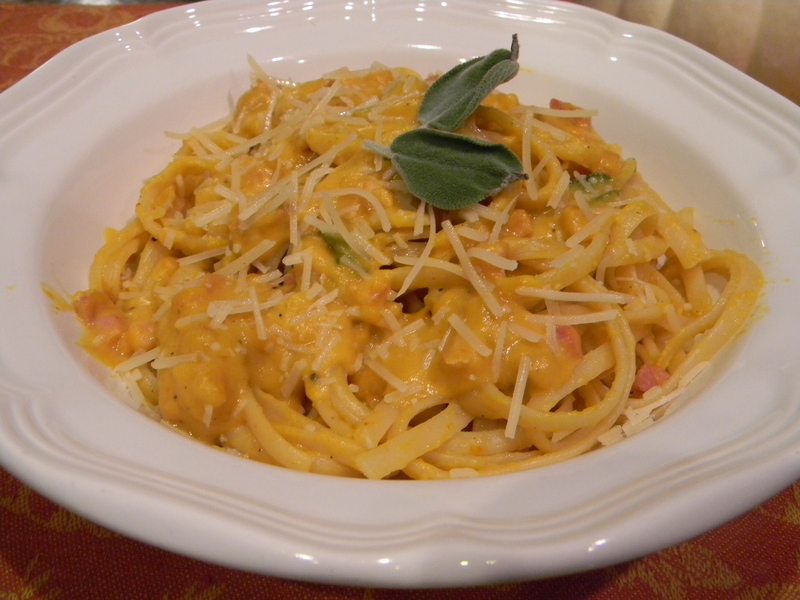 Toss pasta with cheese sauce and pour into baking dish. In a small microwave safe bowl, melt remaining tablespoon butter for 1 minute. Stir in bread crumbs and pour over top of macaroni and cheese. Bake for 30 mins. and let sit for 5-10 minutes before serving. I had some leftover pork ribs from dinner the previous night but not enough for everyone to enjoy again. Needed something to do with the leftover meat. Sunday night dinner seemed like a great night for pizza and what’s better than a bbq pizza? You can also use chicken or beef on this. Serve it with a simple salad or coleslaw. Preheat oven according to package instructions. In small saucepan, over medium heat, add butter and garlic. Stir constantly (do not let garlic brown) for 1 minute. Remove from heat. Roll dough out onto sheet pan and cook for 8 minutes. Remove from oven and brush garlic butter mixture over all of dough. 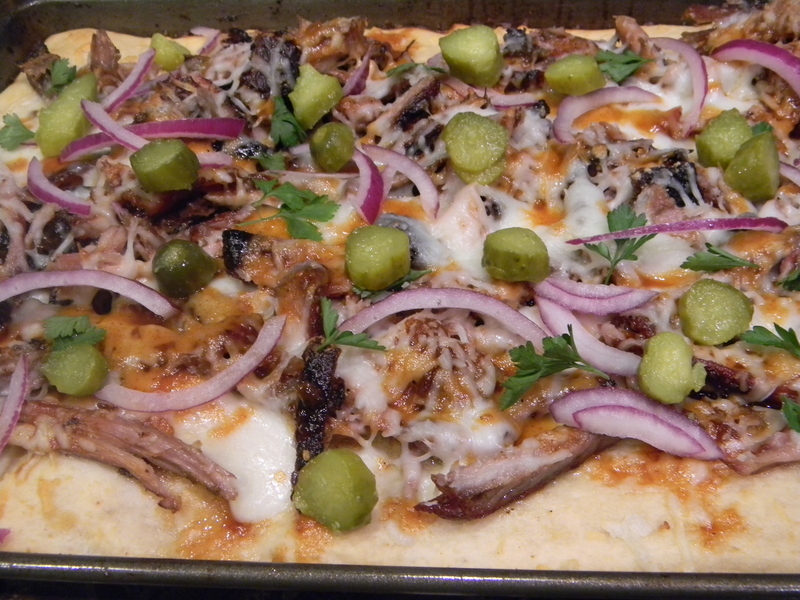 Add shredded pork, cheese, red onion, and drizzle with bbq sauce. Place back in oven for another 6-8 minutes until cheese is melted. Top with cilantro and pickles.